In Amsterdam on July 7th ID&T – Europe’s foremost fusers of sound, light and spectacle – will deliver the latest incarnation of Sensation. Selling out the 40,000 capacity ArenA stadia in 12 hours flat, Source of Light partygoers with an eye for the eye-catching and an ear for the ballistic now eagerly await another incredible tour-de-force Sensation production. It’ll be all white on the night as some of Europe’s heaviest-hitting spin-merchants – Hardwell, Mark Knight, Dennis Ferrer, Riva Starr and The Man With No Shadow among them – descend to soundtrack the night with the hottest EDM on the planet. Naturally no Sensation experience would be complete without its traditional take-home mix-compilation compadre! Incoming are 2 discs and 160 minutes of dance floor combusting, Sensation-encapsulating audio. Drawing together tracks from the world’s house label elite, Sensation’s Source of Light has unlocked the vaults of Toolroom, Be Yourself, Flamingo, Stereo, Defected, Rejected and numerous other imprints besides. In doing so they’ve gained unparalleled access to this summer’s EDM anthems-in-the-making! Mix-1 of this lightning ride is helmed by Sensation’s enigmatic Master of Ceremonies (and their deck wrecker in-residence), Mr. White. Riding those tough disco grooves straight out of the gate, his mix takes off with Nic Fanciulli’s remake of Stacey Pullen’s latest ‘Circus Act’ and Nic’s own driving, electrifying ‘Round & Round’. With the beat-switch selector set to ‘pump’, those house flavours continue to roll. Mr. White’s brings the mix to cruising altitude with Chus’ inimitably Iberican re-rub of Paul C & Paolo Martini’s ‘Amore’, which exposes some tribally aspects to the Sensation faithful. Flashmob meanwhile keeps the hi-hats hissing, powering their Ibiza-gazing ‘Need In Me’ with some heartfelt caliente spirit. With the quality not oscillating for a second, fractional techno hints occasionally spur the mix. Joris Voorn and Umek & Mike Vale shade the house with some rolling Detroit-ism, courtesy of ‘Spank The Maid’ and ‘How’s Your Body?’. The likes of Mark Knight’s discofried ‘Alright’ and the typically toughly percussive ‘Semiramis’ (from Hamburg duo Kaiserdisco) push more fuel through the mix’s engines. Hitting disc 1’s home straight, the audio continues to wow. Old-Skool meets Nu as Angel Moraes’ recently regenerated 15-year old ‘To The Rhythm’ gets a fierce overhaul from Matthew Codek, which brings Mr. White’s mix up to its climactic pulse-racing conclusion. Source of Light’s second mix comes prefaced by the ultra-chilled strains of Jamie Jones soulful re-touch of ‘Hungry For The Power’, from arch avant-garde-ists Azari & III. From there the hard-funking lessons just keep coming with Belocca & Soneec’s grooving, quirky ‘Chupakamra’ and the fast-on-the-rise Filthy Rich and Bass Kleph’s ‘Damage At The Disco’ giving the speakers the most thorough of workouts. As the mix moves further into its midsection it takes a momentary diversion to the deep side, with darker, more booming sounds. The Man With No Shadow’s ‘Hypnotizer’, Ferreck Dawn’s ‘E Comu Samba’ and Scintilla’s ‘One Step’ all conspire together to shuffle, pan and sweep techno-ish thrills through the mix. The vocals also come out to play on tracks like Juan Sanchez’s Med-minded hot-houser ‘This World’ and the moodier register of Orlando Vaughan on ‘Starlight’. Prok & Fitch’s radical rebuild of My Digital Enemy’s chanting ‘Afterlife’ begins to bring the mix up to its apex. 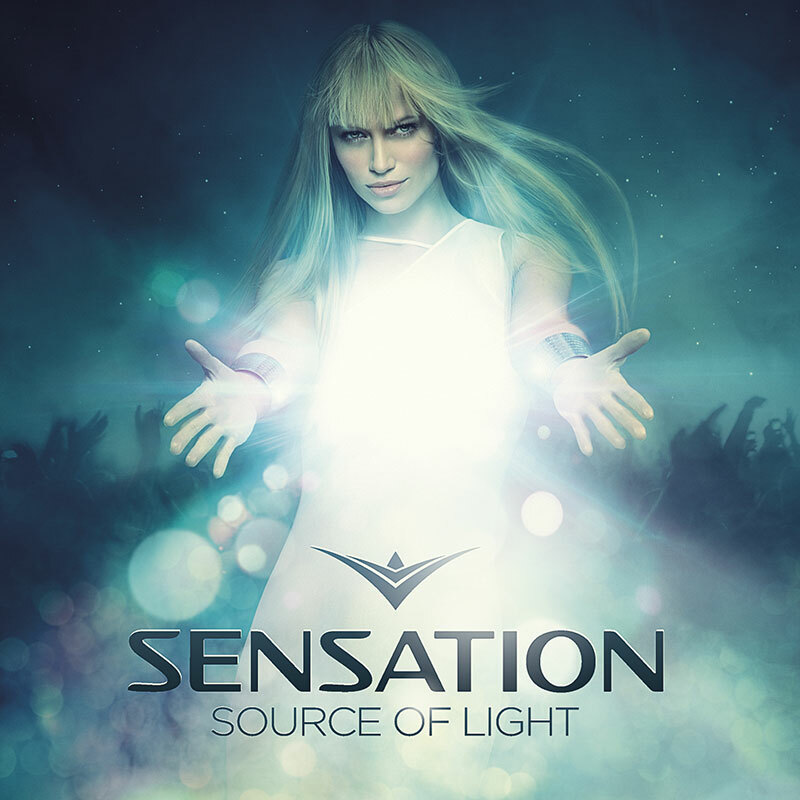 With Sensation’s sights closing in fast on the Dutch capital, it’s left to a pair of home country producers to close out the release. Following the massive ‘Back Home’ in 2010 and last year’s ‘For Your Love’, Chocolate Puma & Colonel Red’s ‘Destiny’ delivers their anthem hat trick. Riva Starr’s purpose-built ‘Source of Light’ meanwhile ensures that the album’s final floorprint is also its deepest. Whether a regular Sensation event attendee or at-home appreciator, ‘Source of Light’ is an essential part of ID&T’s ‘Cirque du EDM’ experience. It’s in out on July 6th and available for all good record and download stores.